One of the top rated car collections in the world will be opening its doors to the public for one special day. The unique vehicles will be available for viewing as money and awareness is raised to support the programs of the American Cancer Society during an open house on Saturday, April 29, 10 am – 5 pm. The Lingenfelter Collection is a private collection of Ken and Kristen Lingenfelter. Over 200 distinctive vehicles, comprised of Corvettes, Muscle Cars and Exotics, fill the large, 40,000 Sq. ft., facility in Brighton. Each spring and fall, the Lingenfelters open the Collection to the public while raising support for important nonprofit organizations. This is the second consecutive year that the American Cancer Society has been chosen to be the recipient of the proceeds from the spring event. The American Cancer Society relies on more than 100 years of evidence and proven results to prevent cancer, save lives, and diminish suffering from cancer. The organization provides the funds for cutting-edge cancer research that can lead to better treatments; advocates for better laws to help people locally and across the nation who are threatened by cancer; and helps patients and their families with their most pressing needs, including getting rides to treatment, navigating the health care system, and dealing with the side effects of treatment. Thanks in part to the Society’s work, there are nearly 14.5 million people alive in the United States alone who have survived cancer. In fact, more than 500 lives are being saved each day that would have otherwise been lost to cancer. Guests attending the Open House will be able to support the Society by making a monetary donation at the door. Throughout the afternoon, Ken Lingenfelter will be signing a limited edition event poster, the 2017 Indy Show Car used to promote the Detroit Grand Prix will be on display, Dream Maker’s Automotive will have an exhibit and special show car for viewing, and door prizes will be awarded. Refreshments and food vendors, including Tony’s Dogs and Marconi’s Pizza, will also be available as guests browse the showroom. All open house proceeds will be donated to the American Cancer Society. New to the event this year is an Adam’s Polishes Detail Clinic. Adam Pitale, Founder of Adam’s Polishes, will share tips and advice on proper/safe washing, machine polishing/swirl removal, and proper protection and maintenance. 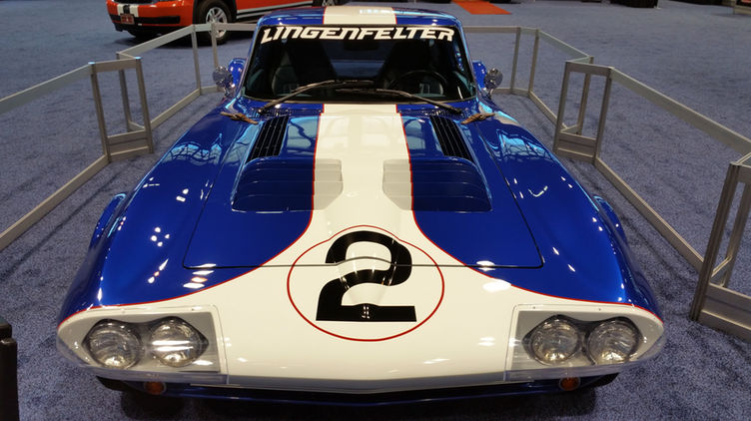 About The Lingenfelter Collection: This private collection of over 200 vehicles is hailed as one of the best rare car collections in the World. Belonging to Ken Lingenfelter, the collection is 40% Corvettes, 30% Muscle Cars and 30% Exotics. At times, Ken and his wife Kristen open the 40,000 sq. ft. showroom to the public for viewing, with all proceeds going to a charity. 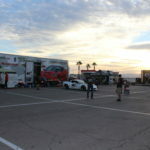 To learn more about the Collection and to purchase merchandise, visit www.lingenfeltercollection.com. About the American Cancer Society: The American Cancer Society is a global grassroots force of 2 million volunteers saving lives in every community. As the largest voluntary health organization, the Society’s efforts have contributed to a 25 percent decline in the cancer death rate in the U.S. since 1991, driven by less smoking, better treatments, and earlier detection. We’re finding cures as the nation’s largest private, not-for-profit investor in cancer research, ensuring people facing cancer have the help they need and continuing the fight for access to quality health care, lifesaving screenings and more. For more information, to get help, or to join the fight, call us anytime, day or night, at (800) 227-2345 or visit www.cancer.org. Enter To Win a 1963 Corvette Sting Ray “Fuelie” and a 2017 Lingenfelter Signature Edition Corvette! GRAVETTE, Ark. – April 3, 2017 – PRLog — The 2017 Corvette Dream Giveaway, a nationwide drawing sponsored by New Beginning Children’s Homes–a charitable organization, has officially launched! This year is the 10th Anniversary of the Corvette Dream Giveaway and the winner of this extraordinary prize package will receive two amazing Corvettes! 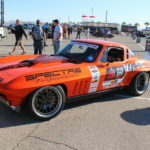 Included in the grand-prize package is a “split window”1963 Corvette Sting Ray and a 2017 Lingenfelter Signature Edition Corvette Z06 Coupe, plus $50,000 cash for taxes! 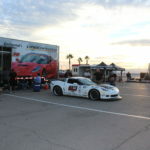 To enter to win this never-before-seen prize package, the general public can call toll-free to (866) 600-0646 or enter online at http://dreamgiveaway.com/dg/corvette. The Grand Prize: This extremely rare, fuel-injected, split window 1963 Corvette Sting Ray is the most desirable Corvette in the marque’s 65-year history. It is one of only 2,610 “fuelie” Corvettes made from August 1962 through July 1963. “Fuelie” 327ci V-8s were the most powerful powerplant available to Corvette in 1963 and the “fuelie” remained the most powerful Chevrolet small-block engine for over 30 years. It comes finished in Riverside Red with a beautiful matching red interior. This Corvette is restored to strict NCRS standards and was awarded the coveted NCRS Top Flight Award. Other features include the desirable M20-4 speed manual transmission, P48 cast aluminum knock-off wheels and a Positraction rear end. The 2017 Lingenfelter Signature Edition Corvette Z06 Coupe, which sports Serial #001, cranks out 800 horsepower thanks to a 376 cubic inch (6.2 liter) Chevy LT4 Gen 5 small-block featuring a Magnuson TVS2300 Heartbeat Supercharger System (engineered for the seventh-generation Corvette Z06), ported and polished factory cylinder heads, and ultra-high-performance GT3 cam, all courtesy of the horsepower experts at Lingenfelter Performance Engineering. This unprecedented Corvette comes finished in Torch Red with a 3LZ interior, which features Jet Black perforated Napa leather seating surfaces and a unique, serialized dash plaque. The exterior also features unique styling and badging. It is loaded with high-performance factory options, including the Z07 performance package (Track Package), carbon fiber visible package, 8-speed paddle-shift automatic transmission, competition sport seats, and Z06 black aluminum wheels. New Beginning Children’s Homes (NBCH), the sponsor of this giveaway, is a 501(c)3 provider of family-style long-term residential care with a mission to provide foster children a safe and faith-centered family atmosphere where they can heal, grow, and be loved while working through difficult life issues. In addition to the funding they receive, NBCH will provide grants to several worthwhile charities, including Disabled American Veterans, National Guard Educational Foundation, Smile Network International, Mothers Against Drunk Driving, Bright Pink and Detroit Rescue Mission Ministries. For low-res and high-res photography and video assets, please contact Kim Meyers. A 2017 Corvette Dream Giveaway spokesperson is available for press interviews for traditional print, broadcast, and radio media and digital-only sites. Please contact Kim Meyers to arrange a press interview. April 3, 2017 Posted on April 3, 2017 Categories Corvette, Lingenfelter Collection, Lingenfelter Performance, MagazineTags Automotive, C7 Corvette, Chevrolet, Chevy, Corvette, Dream Giveaway, Horsepower, Ken Lingenfelter, Lingenfelter, Lingenfelter Performance Engineering, Magazine, Performance2 Comments on Enter To Win a 1963 Corvette Sting Ray “Fuelie” and a 2017 Lingenfelter Signature Edition Corvette! 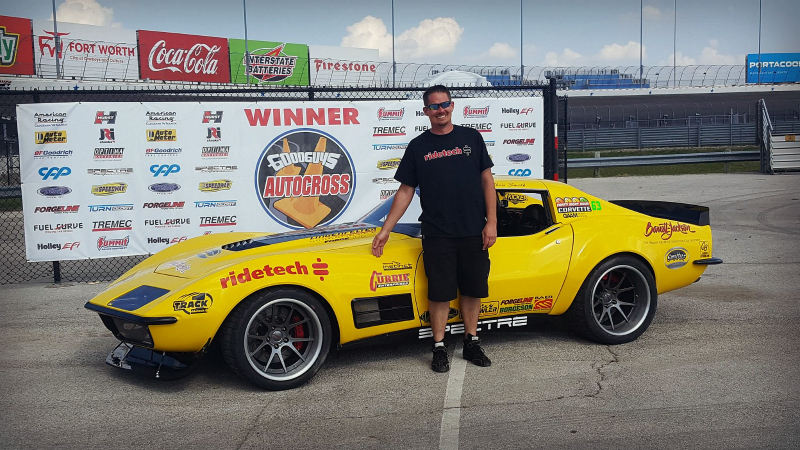 It has been a FANTASTIC weekend for the RideTech crew, as Chris Smith piloted the Instinct-equipped 48-Hour Corvette to yet another amazing win!! The Fort Worth Goodguys show is historically hot, dusty, and chock-full of great competition. 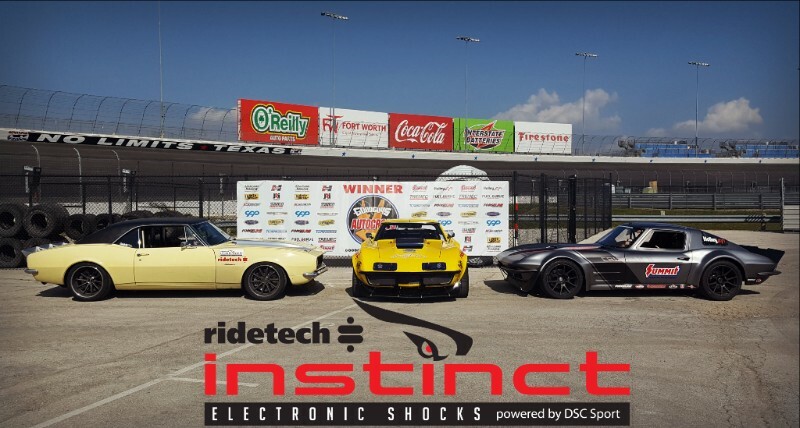 RideTech and our customers again filled the leaderboard at this event; four out of the top 5 spots in the PRO class were RideTech-equipped, with the 1st, 2nd, and 4th place spots going to cars with our new Instinct Electronic Shocks! Texas is also renowned for truck culture, so it’s no surprise that the Truck class at this event was one of the largest of the entire Goodguys season…and it’s also no surprise that all of the top 3 spots in the Truck class were RideTech customers! 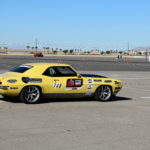 The weather was fantastic and boasted near-record attendance, the turnout for the autocross was phenomenal, and both competitors and spectators were impressed by the turnout and the awesome autocross action. We’ve got lots more events coming up in March and April, so stay tuned for even more great finishes by the RideTech team! 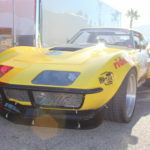 Corvette Homecoming and Chevy Invitational INC. 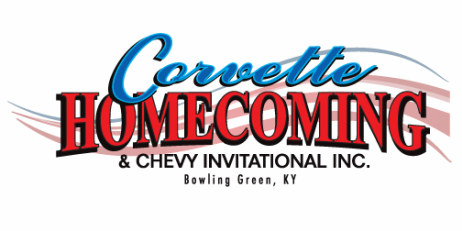 Bowling Green, KY, November 28, 2016: Corvette Homecoming and Chevy Invitational,Inc .is excited to announce that it is moving to the National Corvette Museum in Bowling Green, Kentucky the home of the Corvette. The dates for the 36th annual event will be June 1, 2017 through June 3, 2017. 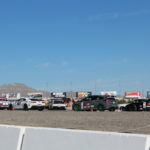 The Corvette Homecoming and Chevy Invitational,Inc. is an annual event held in Bowling Green, Kentucky celebrating America’s sports car, the Chevrolet Corvette. First held in 1981, it was created by two Corvette enthusiasts, Tom Hill and Sam Hall, in response to the assembly of Corvettes moving from St. Louis, MO to the Bowling Green Assembly Plant, which is currently the sole assembler of the car. In 2015 the Chevy Invitational was added to the event with great success. 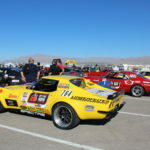 The event features competitions in numerous judged shows for Corvettes and Chevys along with informative seminars. 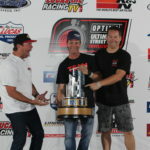 The Corvette Homecoming and Chevy Invitational,Inc. features numerous vendors, parade, National Corvette Museum tours, auto and memorabilia auction, live music, women’s events/vendors. 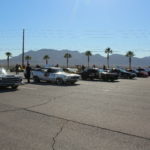 The event offers an exclusive show called Sans Pareil (without equal) and Ultra Originals where the cars are at least 30 years old and 85% original. The event also has a Full Custom judged class. Grand Marshal and Special Guest Ken Lingenfelter; Owner of Lingenfelter Performance Engineering will be present. Corvette Homecoming and Chevy Invitational and The National Corvette Museum will maximize their impact on the area’s tourism, local economy, and culture with this event. Corvette Homecoming and Chevy Invitational, Inc. is proud to be locating to The National Corvette Museum in June of 2017. 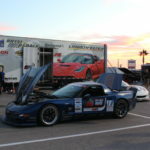 March 21, 2017 Posted on March 21, 2017 Categories UncategorizedTags C7 Corvette, Chevrolet, Chevy, Corvette, Ken Lingenfelter, Lingenfelter Performance EngineeringLeave a comment on Corvette Homecoming and Chevy Invitational INC.
Arrow launched the Semi-Autonomous Motorcar (SAM) project in 2014. The current SAM car is a 2016 Corvette C7 Z06 modified so that a quadriplegic former IndyCar driver, Sam Schmidt, once again can drive using only his head to control the car. 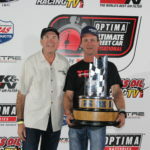 Arrow and Schmidt have driven oval tracks, road courses and mountain summit runs at speeds up to 152 mph. The purpose of the SAM project is not only to push the boundaries of our transportation system, but also to rapidly innovate new technologies in ways never before thought possible. In September 2016, Sam Schmidt became the first person with quadriplegia in the United States to receive an autonomous vehicle driver’s license. 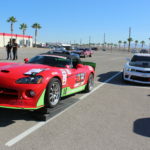 He has since driven the SAM car on the streets of Las Vegas, Nevada proving that the technology used in the SAM car is capable of much more than just turning laps. 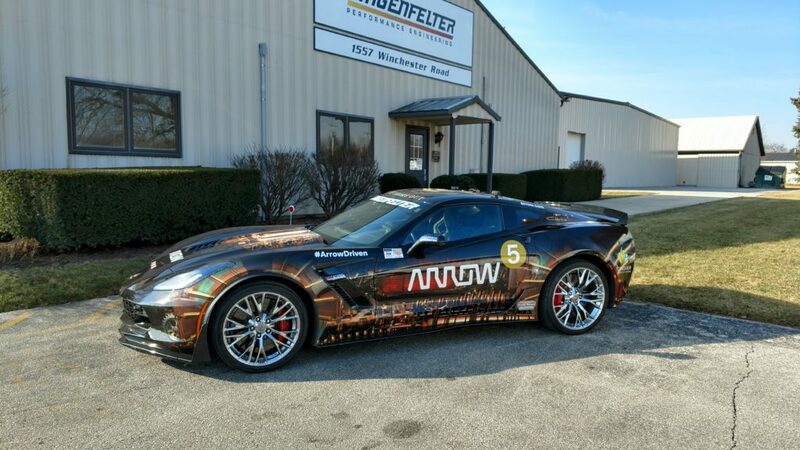 Lingenfelter Performance Engineering is proud to have partnered with Arrow to further enhance the performance capability of the Arrow SAM car. Original plans were made to push the SAM car’s factory LT4 supercharger to its limits. Ideally this would enable the SAM car to achieve more power for high speed runs. With further review of the tasks at hand, Lingenfelter asked Magnuson Superchargers for their support to join this incredible build. 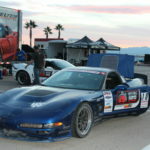 With both partners on board, the SAM car was upgraded to an aftermarket supercharger. The Arrow SAM car will be the first Corvette C7 Z06 in production with Magnuson’s NEW LT4 Heartbeat TVS2300 kit. Together, Arrow, Lingenfelter Performance Engineering and Magnuson are working in the world of Five Years Out to turn what is possible into what is practical and help the SAM car reach its highest performance capabilities. Be sure to follow and share our journey on this incredible build. Stayed tuned for additional photos and video. For more information, please visit www.arrowsamcar.com. Three cars from Lingenfelter Performance Engineering stood out among the supercars at the 2017 Chicago Auto Show. The 2017 Chevrolet Corvette Z06, 2017 Chevrolet Camara ZL1, and the Lingenfelter-powered C2 Corvette Grand Sport outshined the other hot cars on display. When it comes to automotive performance engineering industry, the Lingenfelter Performance Engineering is a recognized brand. The 44-year-old company excels in engine building, engine and chassis tuning components and installation, especially for the majority of GM vehicles. When the 2017 Chicago Auto Show opened its doors today, three cars from Lingenfelter Performance Engineering captured the hearts of many. Check below why these three cars are deemed to be superior to the other hot cars present in the show. 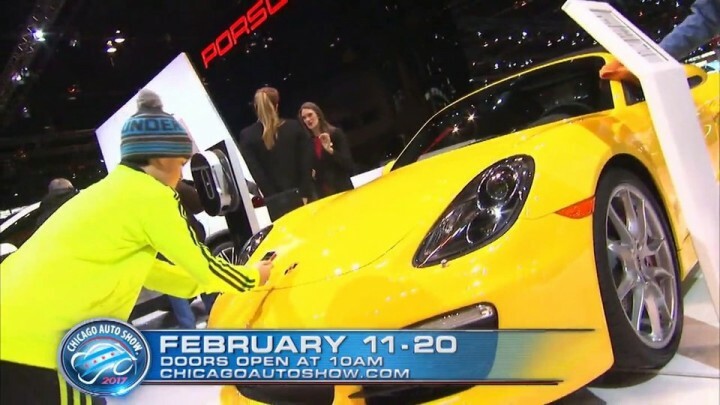 Join us at the Chicago Auto Show! Your ultimate sneak peak to our TWO 2017 Dream Giveaway Vehicles!! You won’t want to miss this! On display, we will have both our NEW 2017 Lingenfelter Chevrolet C7 Z06 Corvette Coupe and our 2017 Lingenfelter Supercharged Chevrolet Camaro ZL1. Vehicles are both Signature Edition Serial #001. Dream Giveaway promotions for the ZL1 start late February, with the Z06 following in April! Stay Tuned Lingenfelter Fans. If you will be attending Press & Media Day February 9th, Ken Lingenfelter will be there to answer all of your questions! Special Guests Ken Lingenfelter of Lingenfelter Performance Engineering and Andrew Marshall from Disabled American Veterans will attend. Gravette, AR – January 27, 2017 – The 2016 Corvette Dream Giveaway, a nationwide drawing sponsored by New Beginning Children’s Homes–a charitable organization, ended on December 29, 2016. Sixty-nine-year-old John Wilson of Louisiana was the lucky winning ticket holder. Mr. Wilson will attend the award ceremony at the Dream Giveaway Garage in Clearwater, Florida, on February 3, 2017, at 3PM. Special guest Ken Lingenfelter, owner of Lingenfelter Performance Engineering (LPE), will attend the award ceremony to present Mr. Wilson with the keys to a classic 1965 Corvette Sting Ray convertible and an 800-horsepower 2016 Lingenfelter Signature Edition Corvette Z06 convertible. The grand-prize also included $50,000 towards the prize taxes. 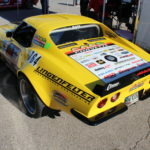 Lingenfelter Performance Engineering, a globally recognized brand in the automobile-performance industry, is the Presenting Promotional Partner for the Corvette Dream Giveaway. 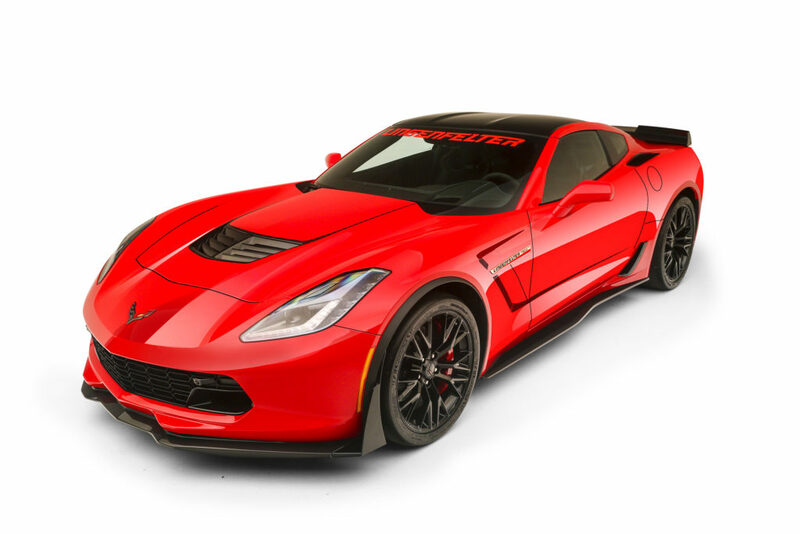 The 2016 Lingenfelter Signature Edition Corvette Z06 grand-prize launches the brand-new Lingenfelter Signature Edition line of ultra-high-performance Corvettes. Special guest Andrew Marshall, the Past Department Commander for the DAV Department of Florida, Director of Services, will attend the award ceremony on behalf of the national Disabled American Veterans (DAV) organization. Mr. Marshall is a Vietnam veteran who served in the U.S. Army. The award ceremony will be streamed live on the Dream Giveaway Facebook page at https://www.facebook.com/dreamgiveaways/. A 2016 Corvette Dream Giveaway spokesperson is available for press interviews for traditional print, broadcast and radio media, and digital-only sites. Please contact Kim Meyers to arrange a press interview.